Hennessey is known for performance upgrades. Once again, they haven’t disappointed. Hennessey Performance has just released their latest power kit, this one focusing on the Mercedes-Benz AMG 5.5-liter twin-turbocharged V8 engine. The package, dubbed HPE700, brings the venerable engine&apos;s output to a scintillating 700hp and 800 tire shredding pound-feet of torque. The aforementioned engine puts out 550hp at stock and is found in Mercedes 63-series AMG cars. The powerful HPE700 package adds 150hp and fits on the CLS63, E63, G63, GL63, ML63, S63 and SL63. No performance figures have been released yet by the tuning firm, however we expect them to give a completely new feel the lineup of Mercedes AMG models. The first model fitted with the HPE700 kit was the Mercedes-Benz E63 AMG. The sedan features Hennessey exterior badging, serial-numbered dashboard and engine plaques, a carbon fiber trim, upgraded suspension and brakes, new wheels and an aerodynamic body kit. Under the hood, Hennessey has performed an air induction modification system, ECU revamp and engine management recalibration. There is plenty more to come from Hennessey Performance and their lineup of Mercedes AMG models. Until then, enjoy the E63 AMG sedan fitted with the HPE700 package in the photos below. 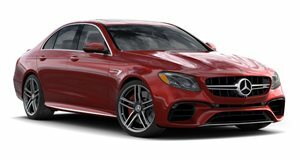 The new 2012 Mercedes-Benz E63 AMG is absolutely thrilling, despite the decrease in engine displacement.